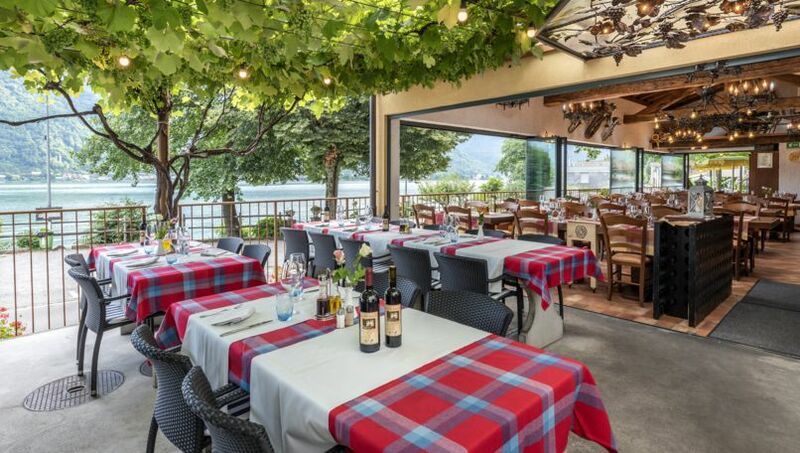 A unique atmosphere lingers at Scherrer Park in Morcote, on Lake Lugano. Inside the lush subtropical vegetation, reminding of exotic countries, are in fact architectural and artistic works inspired by distant cultures such as a Siamese tea house, an Egyptian temple and Greek sculptures. This fascinating garden is the work of Hermann Arthur Scherrer who since the 1930s dreamt of recreating a magical place inspired by his travels. Between palm trees and bamboo, eucalyptuses and lemon trees, cedars and oleanders, the visitor can admire many floral and scented species of plants. Only seventy years ago, these hillsides were covered in vineyards and chestnut trees, decked with an old house and a stable on the lakefront. In 1930, rich textile merchant and art amateur Hermann Arthur Scherrer purchased the house and a hectare of land on the hill. Following many years of work, hillside and terraces were slowly covered in cypresses, camellias, camphor tress, eucalyptuses, cedars, araucarias, palm trees and bamboo woods – all exotic and oriental plants that Scherrer had admired during his professional trips. Numerous plants are now named by their scientific nomenclature. Inspired by oriental landscapes and cultures, Scherrer was not only concerned about presenting its fascinating vegetation: the garden was meant to act as an adornment for the oriental sculptures and architectural masterpieces. Year after year he reproduced, in reduced scale, temples from the Mediterranean and exotic countries. The park consists of two areas with distinct styles: Mediterranean and Asian. The trail initially crosses the Mediterranean gardens decorated in renaissance and baroque styles and rich with statues; it then proceeds through the bamboo woods in an oriental landscape that can surprise visitors with its Siamese, Arab and Indian constructions accompanied by flora characterizing those regions. Along the course there are corners where you can sit in the shade and enjoy the panoramic view of the lake.